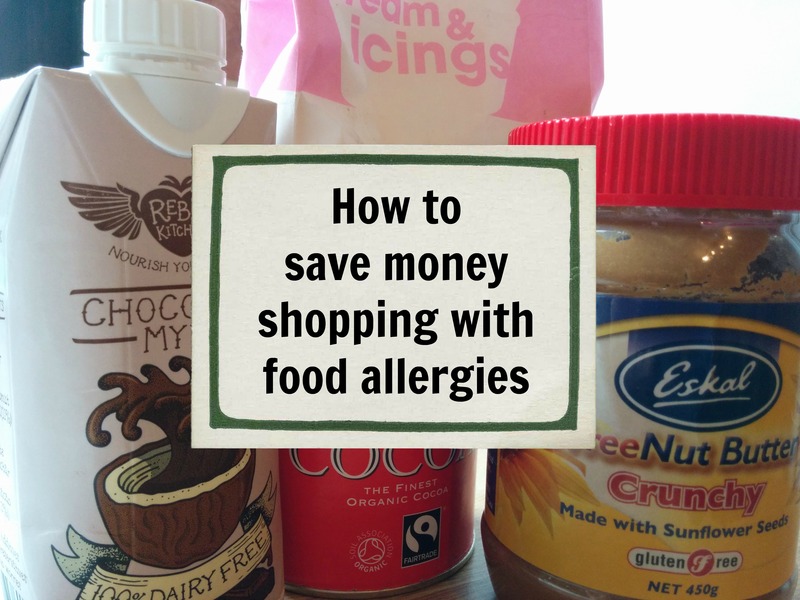 Shopping with food allergies can be expensive. It’s slightly ironic that when you are trying to eat less types of food, it costs you more! Between J, baby A and me (I have cut things out as I am still breastfeeding her) we are currently free from dairy, egg, soya, peanuts, tree nuts, sesame, garlic, onion, cod, coconut, banana and beef. 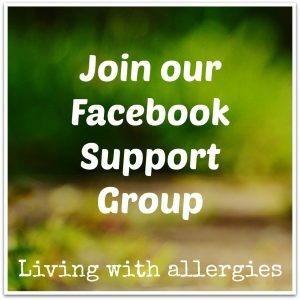 J is a fussy toddler, baby A is weaning, I still want some treats and my husband can eat anything! So shopping for the four of us and making meals that satisfy us all isn’t easy. But it can be done without breaking the bank. 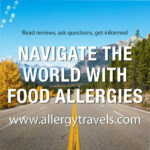 Here are my tips for shopping with food allergies. When there is an offer on, buy in bulk! Our biggest expense is J’s Alpro +1 soya milk at £1.39 a litre. There are frequently offers on at 4@£4 so this is a big savings for the amount we get through. There are often offers on other milks too and also make use of deals like Holland and Barrett Buy one, get one for a penny. Cooking from scratch is often necessary when you have allergies, is safer but also works out a lot cheaper. J loves chicken nuggets but they are so easy to make from scratch, cost a lot less and are healthier. There are some great ‘free from’ brands and I am really glad that this market is growing. However, like any convenience food, it can work out expensive. Look at the regular lines to see what is safe. This can take a bit of research but it is amazing what you can find. Meal planning really is the way forward when it come to saving money on your shopping. I spend so much more if I haven’t made a plan. Figure out what the main meals will be for the week, make a list of everything you need and try to stick to it. If I buy a chicken to roast then I expect to get at least four meals out of it. If I am making a casserole or pie then I will always make a few extra portions to put in the freezer. 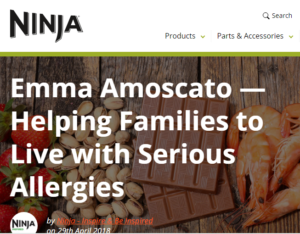 It is very hard to just run out and get a takeaway when you have food allergies so this not only makes life easier but also cheaper. I love my vegetable patch. It is so satisfying to eat things you’ve grown, great to introduce the kids to where food comes from but also much cheaper. 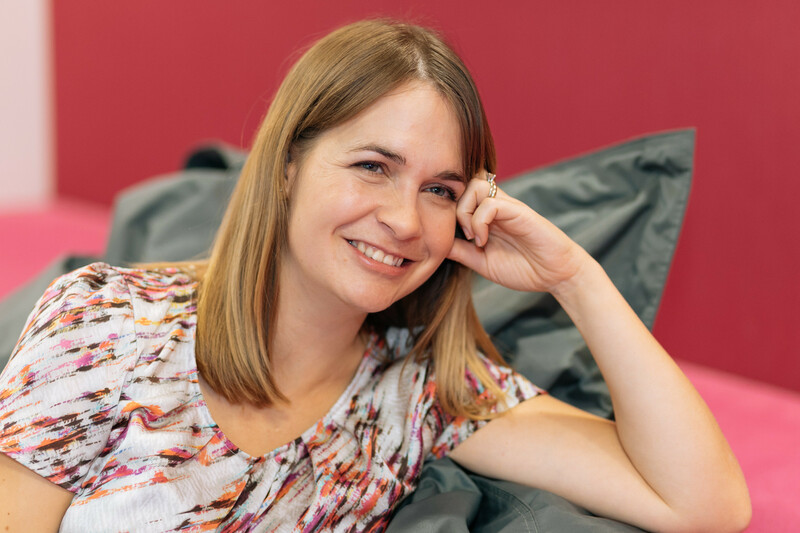 I don’t bother with things that are cheap and abundant, like potatoes but focus on salad leaves, rocket, runner beans, spring onions – things that are pricey in the supermarket. 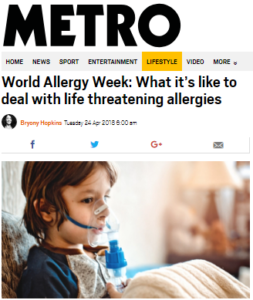 Most people with food allergies will find they have to do this anyway and it can be time consuming but focus on one main shop and then top ups. 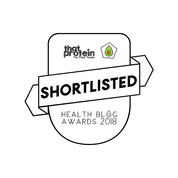 I do my big shop in Aldi as it is so much cheaper but then know there will be some things, like oat milk, I need to pop to another supermarket, health food shop or online for. 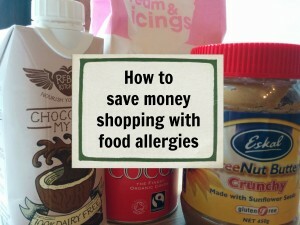 What are your tips for saving money when shopping with food allergies? Just a few steps can make a big difference when we have to think so much about what we’re eating. Really nice summary of how to make things easier. Great post, it’s crazy how much extra you can end up spending on free from products! Sometimes it works to make things you like from what you have. Like… cream of rice? Is just blended rice. Or microwave popcorn? Can be made from regular popcorn. Just pop it in a glass bowl and cover with a ceramic plate. Better for you too. 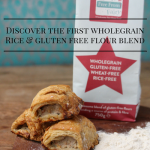 Or, by buying one type of large flake oats you can blend it into quick oats… or even into oat flour. Also check with the manufacturers of your favourite brands. Some offer coupons or discounts or free samples to people who call in! (Usually they just offer it when I tell them how much I LOVE their product x and would try product y but am not sure if I’ll react or not). Great tips Janice. I think one benefit of allergies is definitely learning to cook more from scratch and being healthier along the way.